"I have had gold service from Protect Signs. They are quick to respond, are willing to meet and offer solution and above all offer great value for money with a service most companies would be proud of." "Amberon Ltd have been supplied by Protect Signs for several years. Over this time they have always done exactly as promised, in a very efficient and common sense manner. Their products are innovative and very good value. What more can we ask for?" "As a traffic management and training company for whom quality of service and customer focus are paramount, it is imperative that our drive and dedication is matched by that of our suppliers. 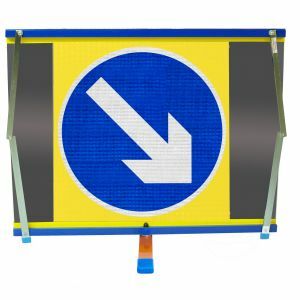 Protect Signs has been supplying us with bespoke signs for over 2 years and we have no need to look elsewhere. Their understanding of the demands of our business, their ability to fulfil our requirements, their friendly flexibility and speed of service are without compare, and represent superb value for money. We would not hesitate to recommend them to anyone involved in our field." "It’s great to have a local company that can respond to our operational needs so promptly and are keen to invest and develop with us on new signage solutions." "As Senior Project Manager for several projects that have enhanced the capabilities of the traffic officer service, I would like to recommend Protect Signs for an award in the HA Supplier Recognition Scheme 2014 for its outstanding services to the Highways Agency in the operation of its contract to supply equipment for our traffic officer service. Protect Signs has helped source and supplied equipment which has directly contributed to the success of the projects. 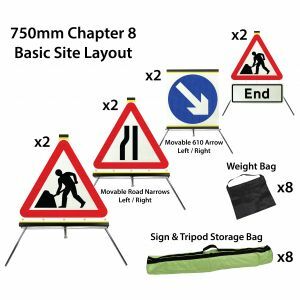 Protect Signs worked closely with my project team and customers (traffic officers) to identify the right equipment to fit our product specifications. Protect's willingness to be involved in the initial project stages has allowed for efficiency savings in time and money, directly contributing to the successful implementation of enhancements to the traffic officer service." " Protect Signs supply us with a wide range of both safety and maintenance equipment which is held both in Traffic Officer regional outstations and in our specialist vehicles They have proven to be efficient and reliable and can be relied upon to set the standard for Customer Support when it comes to the help and assistance they have given us in implementing new projects Protect Signs skill and expertise in the field of the supply and development of emergency services equipment have proven to be invaluable. They have on numerous occasions been able to offer suggestions into ways improving our equipment which has both produced savings in current equipment costs and also enabled us to improve the service to our customers by using more efficient equipment." "Protect Signs have always been able to meet our needs, have never missed a deadline and have always gone above and beyond to meet requirements which in my view have been borderline unreasonable in commercial terms. Protect Signs are relied on by us to provide expert assistance, they never do anything other than exceed expectations. We have never had reason to complain. If there is an issue, Protect Signs go out of their way to rectify it. If you could get a better supplier, I can’t picture it!" 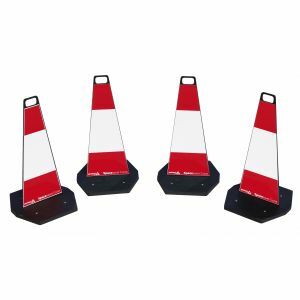 "Protect Signs are the best provider of portable signing and cones etc, that I have worked with. I get a very personal service from helpful & friendly staff and the MD, Dave Lundy is always happy to discuss any issues that arise. The products produced are of good quality and are fit for our purpose. There are no errors on the sign panels and all orders are delivered to the agreed timescales. Having seen the production techniques first hand, I can confirm that every care is taken with the technical quality of the finished products. I can recommend this company without hesitation."